What is now to be known as Eggplant Mingus was made tonight, called so for its wide variety of foods in the dish. To start, I always get the water boiling for the potatoes. They should be washed and diced into your own style of chunks for boiling. When the water comes to a boil put them in. 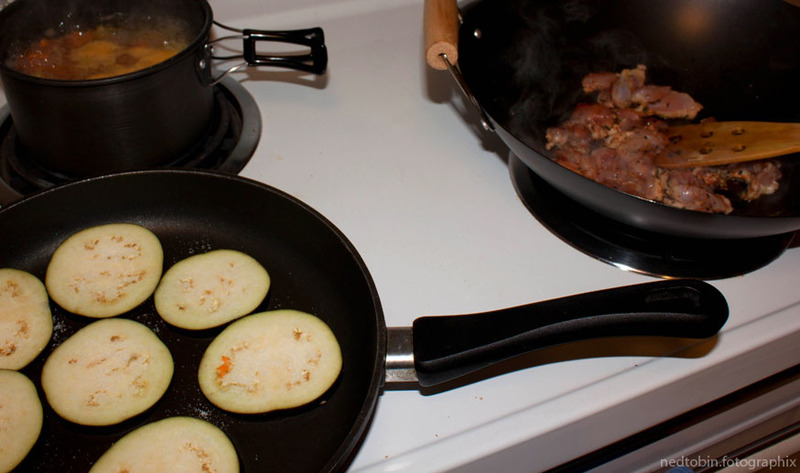 The Eggplant should be chopped into ~1-2cm slices and put on a pan to let the eggplant sweat. After 5-10 min they’ll be sweating, wipe that off and lightly cover them with a mixture of olive oil, balsamic vinegar, oregano, and salt. Remember to save half for when you flip them in the pan. Once you’ve got the mixture on the eggplant, turn the pan on fairly high because to make sure you get them nicely browned. Watch them carefully though, cause they can burn quick. Chop up the chicken and put it into the frying pan with about a half teaspoon of paprika, tarragon, chili powder, oregano and sesame seeds on the chicken, as well as a bit of olive oil to hopefully stop the chicken from sticking to the pan. Put this on med-high heat, and fry. When the chicken is nearly done, I add the mushrooms chopped into cubes, and the diced onions to give it a interesting flavor. The eggplant should be flipped by this time, and working on its second side. I would also at this point put in the asparagus. I just put mine in with the potatoes because I was running out of elements. They really don’t need to cook for long, ~ 3 min. Take some time to add something pretty to the dish, I chopped up some cucumber into almost all the way through slices, and then sliced some thing leaves of red pepper to stuff in each slice. 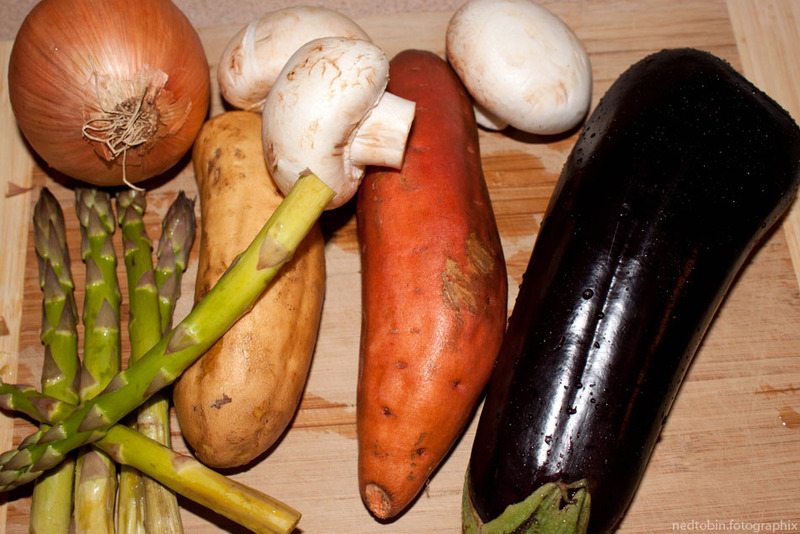 It adds some more veges to the mix, and bring a whole lot of color! 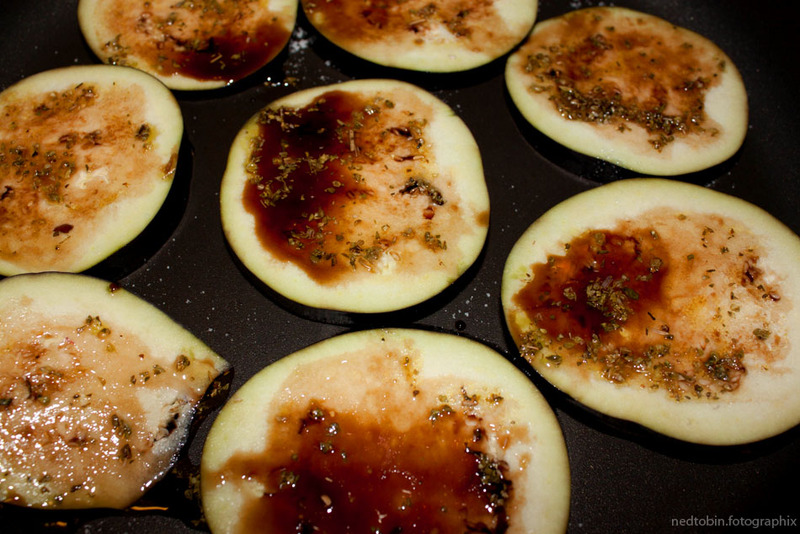 Don’t be afraid to put an extra dash of salt on the eggplant! Look good? Tell me how yours went! 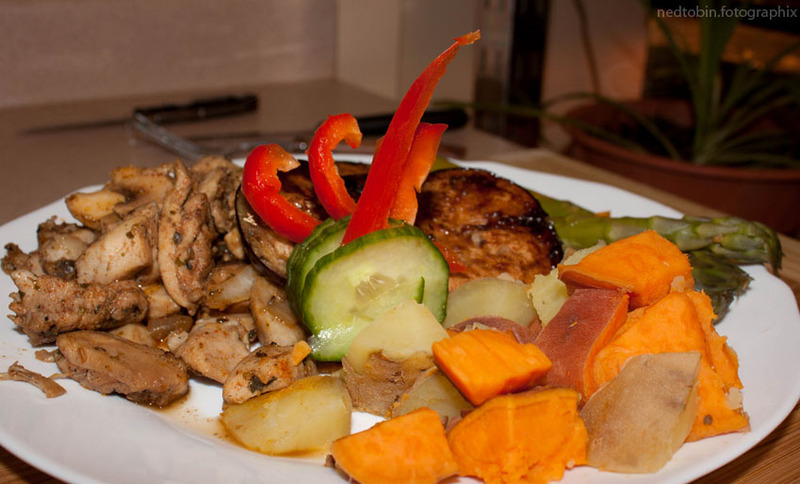 This entry was posted in Chickens, Recipies and tagged asparagus, balsamic vinegar, chili powder, chop, dash, diced, eggplant, extra virgin, mushrooms, olive oil, onion, onions, oregano, paprika, pepper, potatoes, sea salt, sesame seeds, tarragon, veges, yam on March 24, 2013 by Mind Soul.